The Uganda Football National team, the Cranes is understood to be on their way to Tanzania ahead of their last Group L AFCON 2019 Qualifier against the Taifa Stars. After a five day training camp in Egypt, the team of 24 players and 10 officials set off from Cairo International Air Port for Dar es Salaam on Friday night aboard Ethiopian Airlines. They are expected to have a stop-over in Addis Ababa before connecting to Dar es Salaam. Arrival time in Dar es Salaam will be at noon well in time of the final training session at the National Stadium (6 PM). Speaking before departure to Dar es Salaam, Cranes head coach Sebastien Desabre said that the focus now turns to Tanzania after the five-day training camp. “We held a five-day training camp in Egypt where we also played a practice match, said Desabre. “The players responded well and it was great that we had this camp. 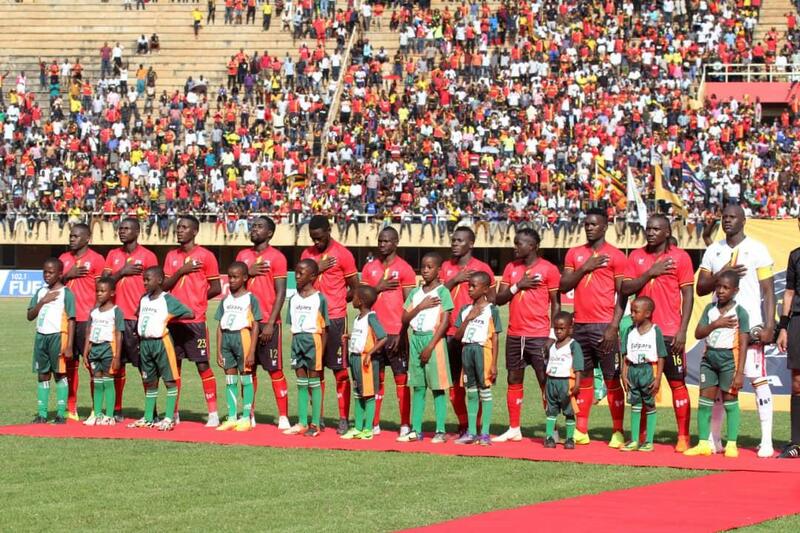 “We are now focused for Sunday’s game against Tanzania in Dar es Salaam. During the camp, Uganda drew 1-1 with Egyptian top tier side El Gaish on Wednesday with Moses Waiswa scoring the Cranes goal. This was their second build-up game having defeated Kampala Select 4-0 at Lugogo, four days prior. Uganda who have already sealed qualification to next year’s AFCON will play Tanzania on Sunday at the National Stadium in Dar es Salaam at 6 pm. The Cranes have 13 points from their first 5 games with the only game in which they failed to pick maximum points being the 0-0 draw at home to Tanzania last September. For Tanzania, they have 5 points and currently sit third on the standings. With the top two going through, the Taifah Stars will have to better second placed Lesotho’s result in the other Group L.
Lesotho also have 5 points but are second due to a better goal difference as compared to Tanzania. They take on Cape Verde away from home on the same day (Sunday).